The Think Funny comedy writing course is back! Brian Luff's acclaimed workshops set out a number of successful formulae and powerful tools for writing comedy, passing on numerous techniques that he has developed writing for fringe, television, radio and digital. Learn how the pros use repetition, callback, reversal, substitution and other tricks of the trade to make the audience laugh. This Autumn the course takes place at one of the UK’s oldest and most respected comedy clubs, Downstairs at the Kings Head. You’ll get a thorough understanding of the techniques used by comedy writers. It’ll be an opportunity to have your comedy scripts workshopped, discussed and critiqued. You’ll receive tips on how to pitch your scripts and ideas to producers. You’ll have a chance to network and collaborate with other budding writers. A former Think Funny student writes: "I attended your comedy writing workshop and a few years later I co-wrote BBC One sitcom Peter Kay’s Car Share. I’m working on a couple of new sitcoms now and wanted to get in touch to say thanks – I got loads of useful tips, tools and motivation from your workshop.” Tim Reid. 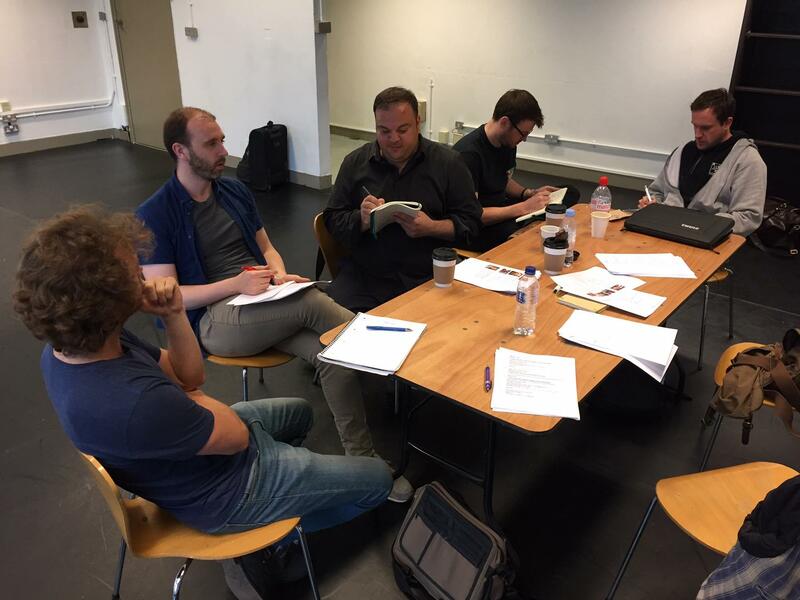 During this course attendees work together to brainstorm and script short comedy routines and sketches. There's also time spent looking at scriptwriting for stand-up and the structure of sitcom. You’ll learn about agents, commissioning editors and development producers and get some invaluable tips on how to get your scripts onto their desks. If you’re serious about writing comedy this is one of the best workshops in the business. Brian Luff has written for sketch shows on ITV and Channel 5 and co-created a cult late night comedy series for Channel 4 and MTV. He has worked as a senior producer and talent scout for the BBC’s online comedy unit and as series producer for the TV series Cosmic Comedy. Brian has also worked on over 500 comedy shows on the London and Edinburgh Fringe. His weekly fringe show Sketch Club helped to showcase the talents of numerous emerging TV writer/performers including Channel Four′s Cardinal Burns, Joe Wilkinson and Perrier Award winner Laura Solon. The next course runs on six consecutive Saturday afternoons from 14 April to 19 May . Times: 12.30 to 4pm.